The LC is honored to announce that we will be joining forces with Soldiers’ Angels charity on Veterans Day! Soldiers’ Angels is an incredible non-profit organization that supports military heroes and families through the many programs it provides. One dollar of EVERY sale at the LC on Nov 11 will be donated to Soldiers’ Angels. The money raised on this day will be specifically donated to supply care packages to deployed soldiers and to support Wounded Warriors. Soldiers’ Angels is a national nonprofit organization providing assistance to military families and veterans of all generations. For more than a decade, this charity has supported the troops and their families through a variety of programs, from sending letters and care packages to deployed service teams to distributing voice-controlled computers to severely injured service members. Patti-Patton Bader, a mother of a deployed service member, founded the organization in 2003 to provide a way for the American public to support our deployed service members and their families. The charity matches one service member with an angel volunteer. These volunteers support deployed troops by sending care packages, letters and other items. 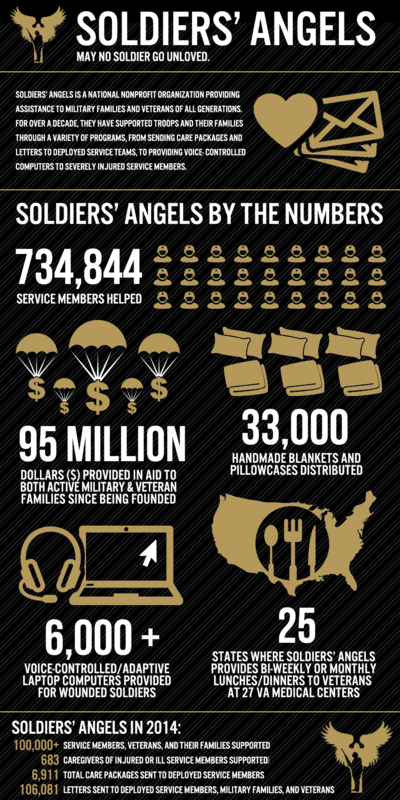 In 2014 alone, Soldiers’ Angels provided support to more than 70 ,000 service members. 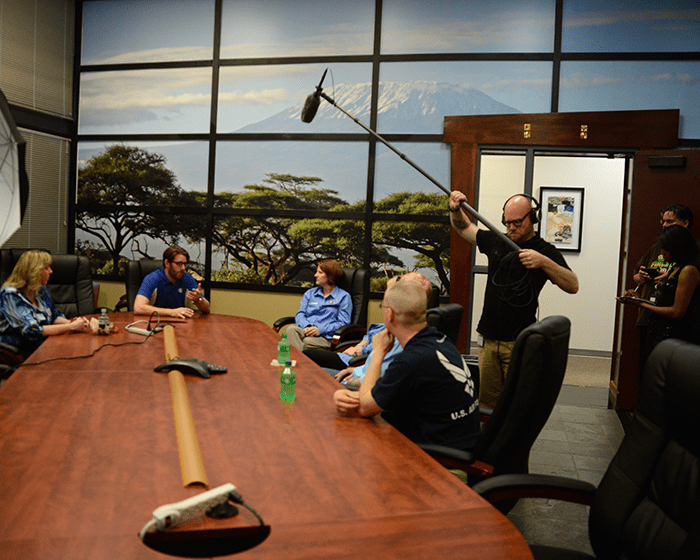 A few guests representing the organization, including the CEO of Soldiers’ Angels, visited the LC. The LC Family sat down with them to discuss their journey and future plans for the organization. Palmer knew Patti for many years and was part of another organization prior to her involvement with Soldiers’ Angels. Providing more support to the veteran community is a current goal for the organization. Soldiers’ Angels have added services to Veteran Affairs Medical Centers. Palmer says they are the only volunteer charity that has access to these medical centers. With this access, they are able to deliver goods and visit patients. “I feel like that was monumental because a lot of the wounded warriors are now getting services and a lot of the deployed service members that we supported while they were overseas, are now in the VA hospital. Just last year we served over 30,000 veterans,” Palmer said. Bobby Henline is a veteran of four tours to Iraq and the sole survivor of an improvised explosive device blast that killed the other four soldiers in his Humvee in Iraq in 2007. Due to the explosion, Henline’s facial bones were fractured, burns covered nearly 40 percent of his body and his left hand had to be amputated later. During recovery, he found humor to be the best medicine. “Joking around and making the other soldiers in the hospital is how I dealt with the pain and everything that happened,” Henline said. He said his nurse relentlessly nagged him to try standup comedy, and he finally gave in. “I tried it for the first time six years ago and no one really laughed, but it felt good to get it out,” he said. He continued to do standup comedy regularly and eventually club owners invited him to perform at their comedy clubs. When told that he is a hero to many people, he said he didn’t see himself as one. 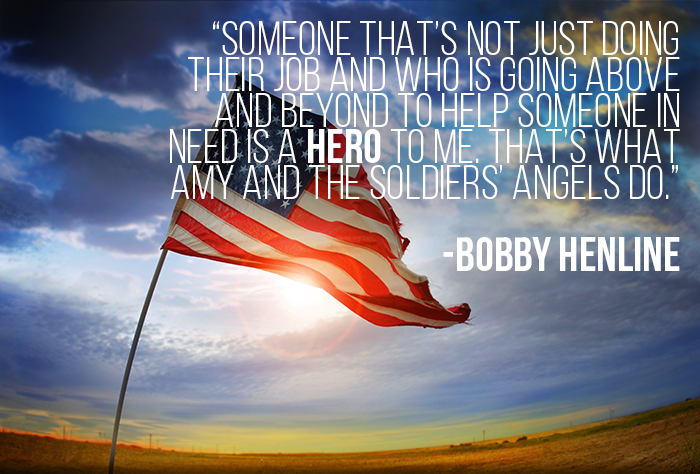 Help the LC support the Soldiers’ Angels mission by joining us on Veterans Day. A dollar will be donated to every item purchased to help aid and comfort the men and women of the United States Army, Marines, Navy, Air Force, Coast Guard, their families and the growing veteran population. May no soldier go unloved.